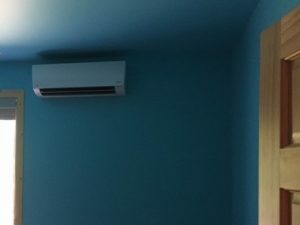 This category of equipment is ideal for smaller spaces where spot heating and cooling is required, or for homes and offices that do not have a conventional furnace and duct work to add central air conditioning and heating to. Several models in this category are Energy Star Certified, meaning they save you money on your utility bill. 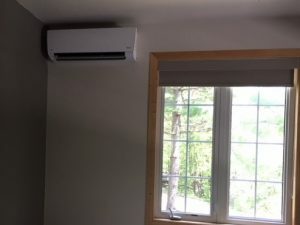 Residential applications including sun rooms and additions are made easier with these air source heat pumps. Do you have a warm spot in your home? 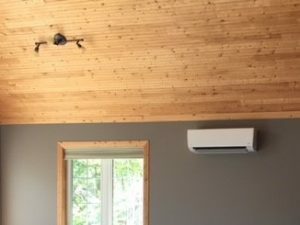 Our mini-splits can provide extra cooling capacity for those hard to cool areas. Commercially, their small size makes them ideal for small offices, providing individual temperature control. Clean, aesthetic design, small but mighty indoor units are 18-24″ shorter in length than competing units, helping them blend into any room. Ideal for spaces requiring additional capacity but are limited on space. 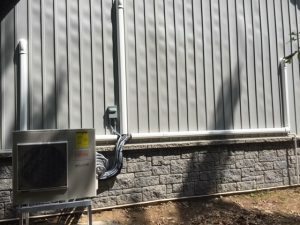 The flexibility of the variable speed compressor helps system adapt to shifts in heat load by additional guests or afternoon sun.